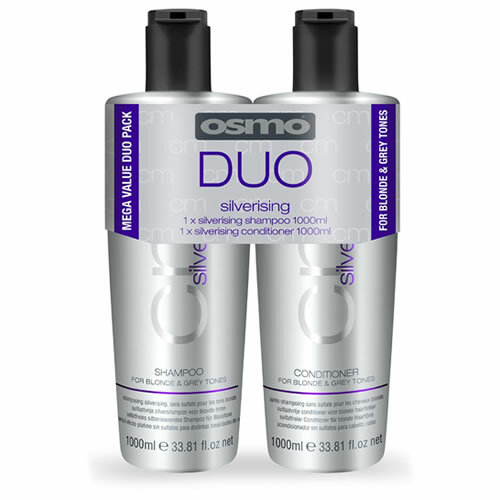 Osmo's sulphate-free silverising shampoo and conditioner has a deep purple colour and a gentle formula which helps neutralise yellow tones in blonde hair while cleansing and conditioning without stripping colour. 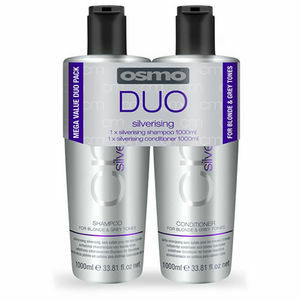 The Silverising Duo twin pack features a 1-litre bottle of Silverising shampoo and a litre of the matching conditioner and is fantastic value, coming in around 25% cheaper than the cost of buying both separately. Of course, at that price it's not only great for your salon, but makes a profitable retail product too. £17.22 (inc. VAT) Why no VAT? We're a trade wholesaler and quote our prices without VAT to help our VAT-registered customers understand the true cost of a purchase.